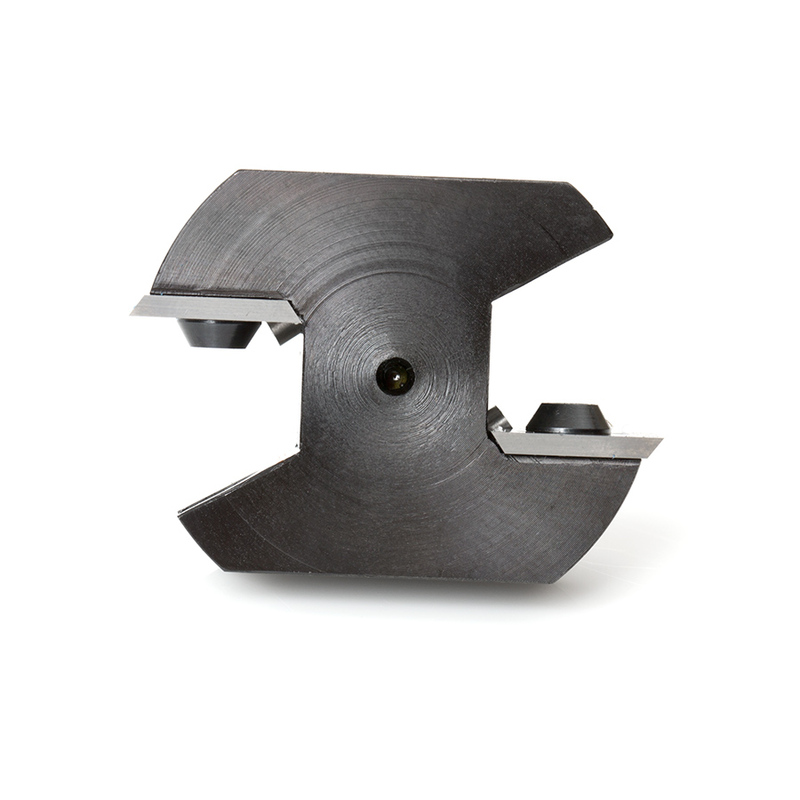 Mini insert carbide spoilboard surfacing & rabbeting router bit great for cutting tight corners and surface planing. Also suitable for router sled machines, Make sure that your router sled is fully stable and squared. 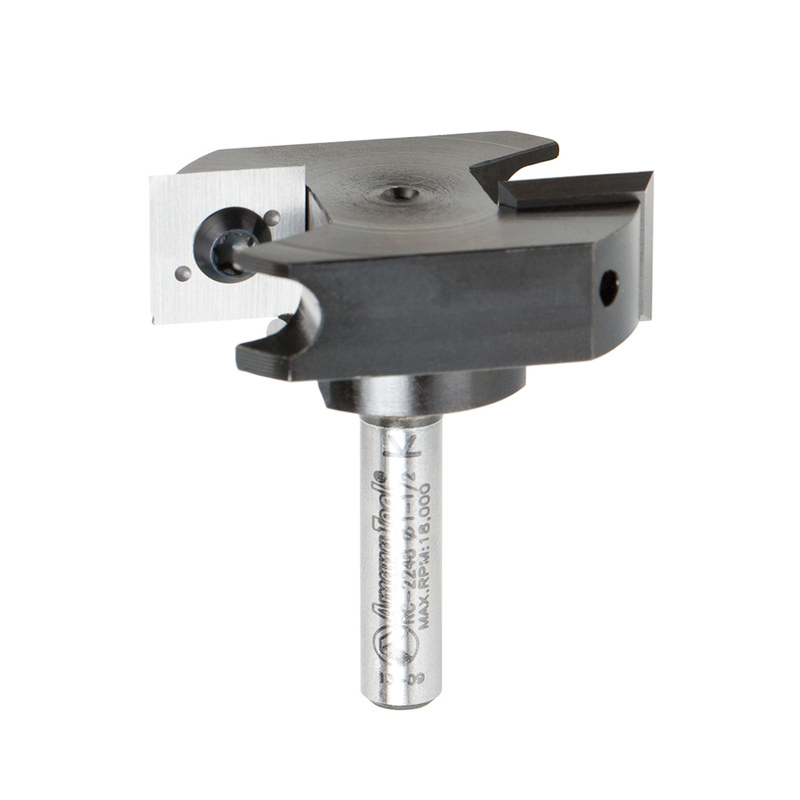 *For optimal results and maximum insert life, replace inserts with optional general purpose knives #AMA-12 (sold separately). 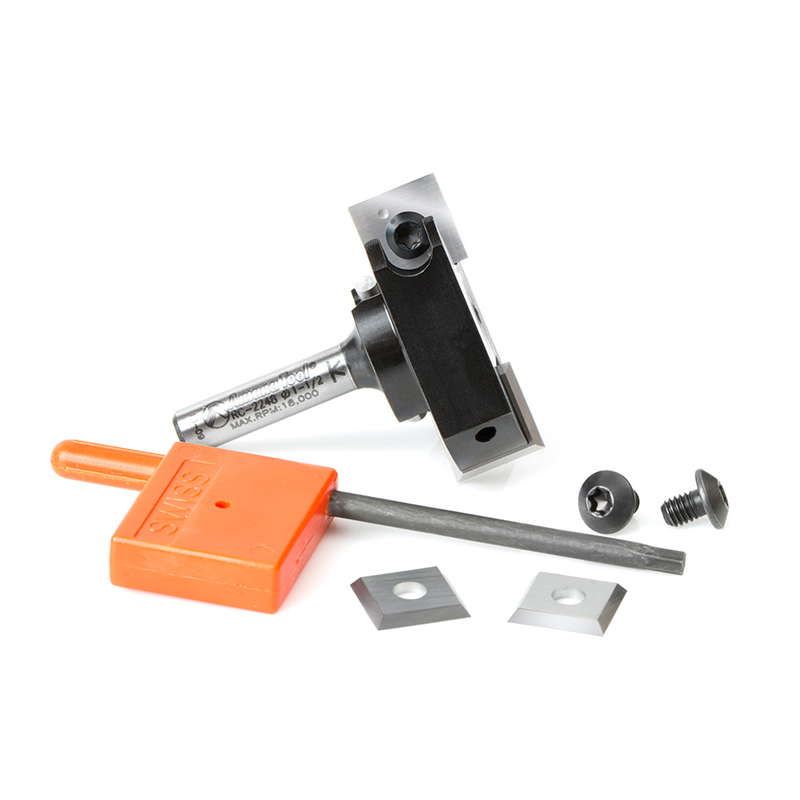 These industrial router bits feature solid carbide insert knives with four cutting edges that allow users to rotate the knife when one side becomes dull providing the highest-quality finish available on woodworking tools. Recommendations:For surfacing solid woods it is recommended to remove both bottom scorers. Proper torques rating to tighten down screws is 2-3Nm Torques. Vectric compatible tool file for RC-2248 available in the Vetric Library tab above.